Yesterday (14th July), local residents and supporters raised signs on Sruwaddacon estuary, warning of the sinkholes that continue to appear over Shell's tunnel. Residents first noticed the sinkholes beginning to appear in the special area of conservation on the 20th May and numerous sinkholes have appeared along the tunnel route since then. 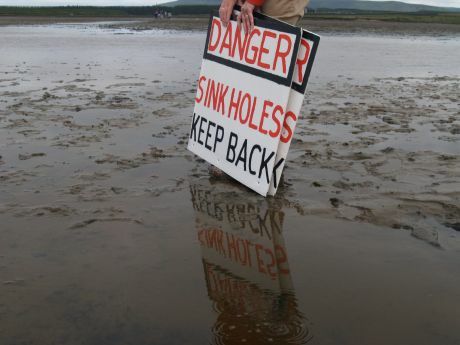 The warning signs which read "Danger Sinkholes: Keep Back" were erected in order to warn users of the estuary of presence of the sinkhole, which have been up to 8 foot deep. 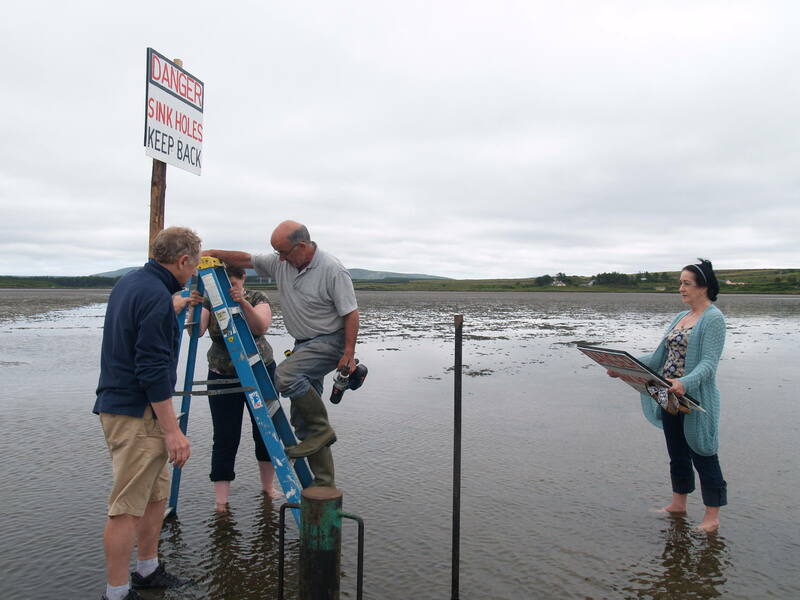 Residents were forced to put up the warning signs after both Mayo County Council and the Department of Energy & Natural Resources, despite being contacted, have failed to take any action. 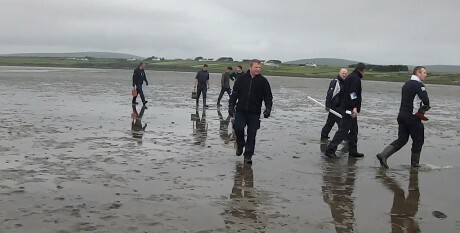 The National Parks & Wildlife Service are also believed not to have investigated thus far the possible damage that may be occurring to the benthic life in the estuary, despite the area being both a Special Area of Conservation and a Special Protection Area. 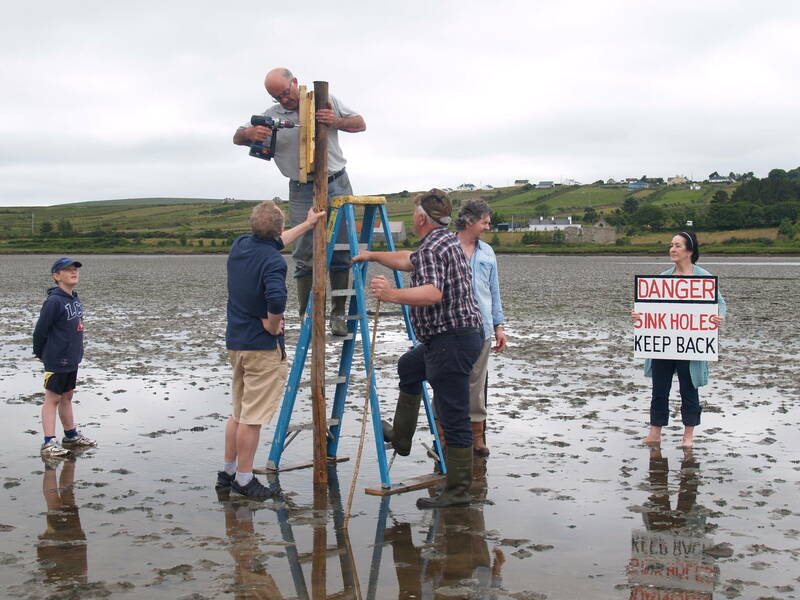 Shell to Sea spokesperson Terence Conway stated "When Shell experts were giving evidence in the oral hearing, there wasn't a word about sinkholes and the bubbling up of possible contaminated material to the surface of the special area of conservation". Shell have previously sent up to 10 workers with shovels out on the estuary in a failed attempt to fill in the sinkholes. 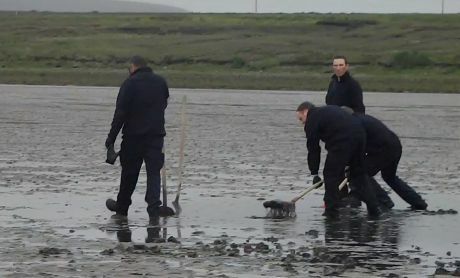 Mr Conway continued "We can currently follow the path of the tunnel by the trail of sinkholes that have appeared on the strand. 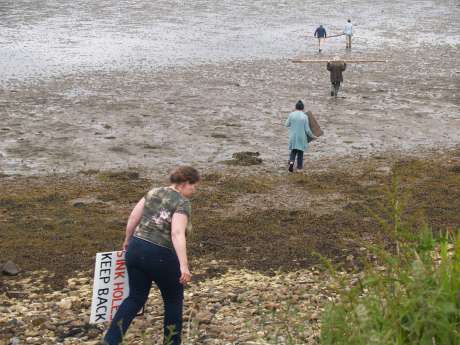 Failure to regulate has caused alot of suffering in Ireland, yet the Government are still allowing Shell to do whatever they want. The sinkholes are further proof that the Government continues to abandon their responsibility to regulate Shell." 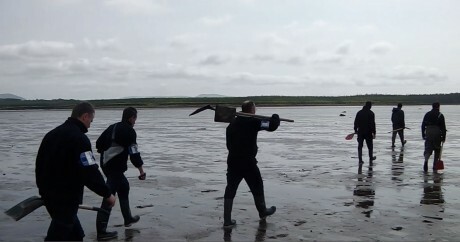 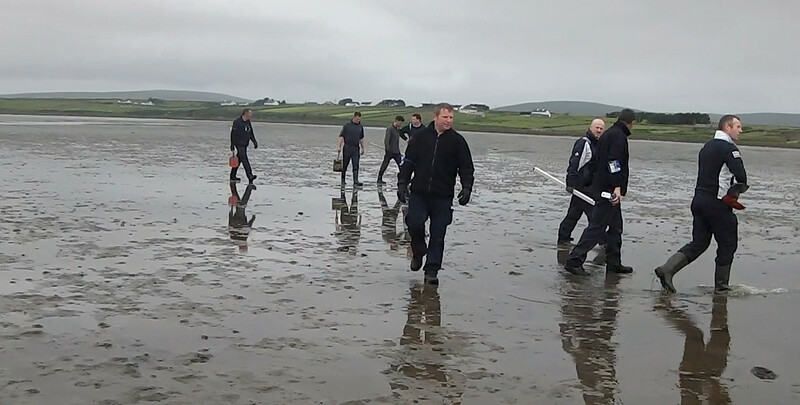 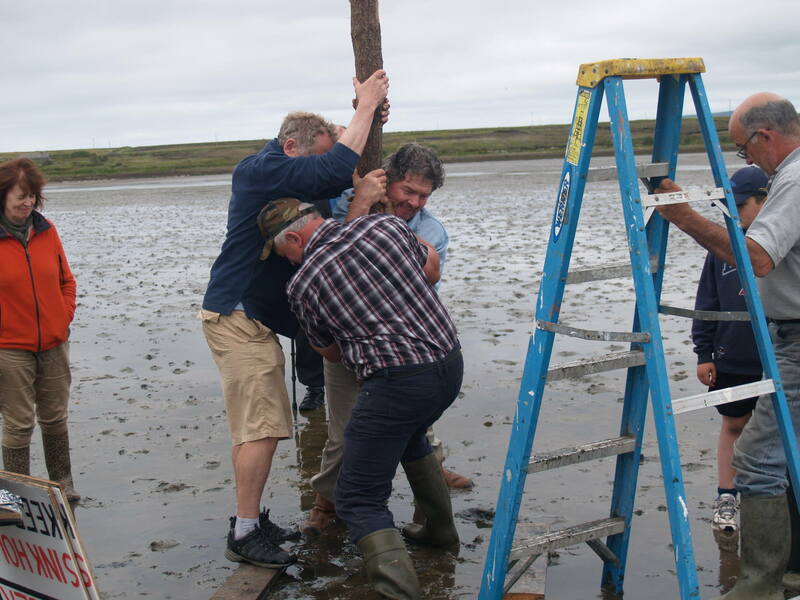 Photos of Shell workers out in Sruwaddacon estuary earlier in July, attempting to fill in some of the sinkholes.